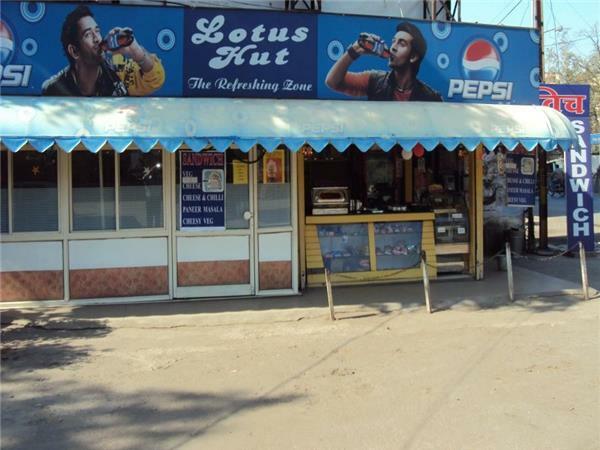 Indore's original & most-popular 'desi coffee' road-side joint - Lotus Hut - is very popular for hot coffees (Indian espresso), cold coffees, and snacks !! It also serves ice cream sodas/floats, lemonades and much more !! I loveve expresso coffee here in the cold chilled weather. The open air sitting is its plus point. I love to hangout with my friends here. a lovely place to hangout with frndsss...a small place but a lovelyy place spcllyy in eveninggg ..a cold cup of coffee outside with a sandwich is a lovely combination there..
a cool hangout place. the coffee is scrumptious and samosa/pattis are also good. the open air seating is also great.!! awesome coffee superb tym !! awesome place and amazingg food n coffee !! "Place where we can go!" One of the lovely little places you will find in the city based basically at a Petrol Pump. Very small, yet very well organised. All-time classic is the hot and cold coffees here and the cute cups they serve these in. I have numerous memories of coming here after my coaching classes in class 11th and 12th during winters for a cup of hot coffee to finish my day off!